This is a relatively low-angled route on mountain, and its greatest challenge is crevasse navigation. 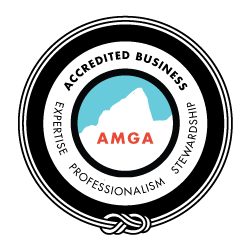 It’s a great climb for folks who enjoy traveling in big glacier country on one of the snowiest mountains in the lower 48, and who have previously climbed other routes on Mount Baker and want to see another side of the mountain. For this climb we will start out hiking along the Park Butte trail as we climb up towards the end of the Easton Glacier. The first day will total about 3000 feet of elevation gain in about five miles. We will be up and moving before the sun comes up, setting out from camp as we climb the Easton Glacier, pass the Sherman Crater vents and eventually onto the summit of Mt. Baker. Our descent will follow our line of ascent, heading back to the comfort of camp. On day three we will break camp and begin our hike back out to the trail head. The Easton Glacier is a good alternative to the Coleman-Deming. 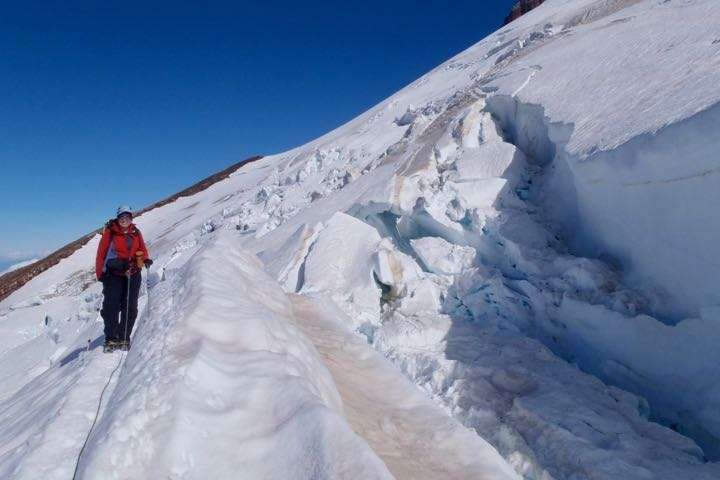 It’s similar difficulty, but often has different snow and glacier conditions. We may interchange these two routes to find the best climbing conditions, depending on time of year and weather. There are no prerequisites to join this trip – we’ll teach you everything you need to know!